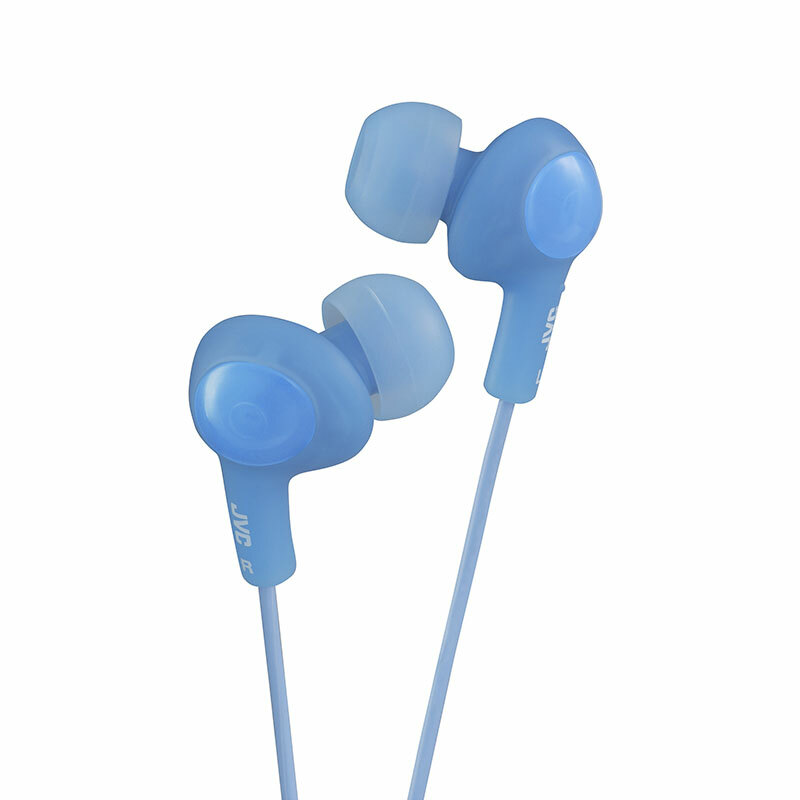 These blue JVC Gumy Plus Inner-ear Headphones feature a rubber body for a comfortable fit and good noise isolation, which ensures a better listening experience. To tailor the fit of each user, silicone earpieces in small, medium and large are included. They come in an assortment of cool iPod-matching colors and have a 3.3-foot (1 meter) cord with a gold-plated 3.5mm iPhone compatible plug. This pair comes in blue.